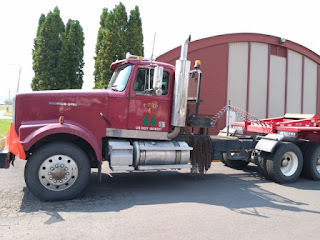 (GRANGEVILLE) – With the threat of wildfire danger increasing rapidly throughout many parts of north central Idaho, local land management agencies have teamed up to pre-position a “Task Force” in Grangeville. 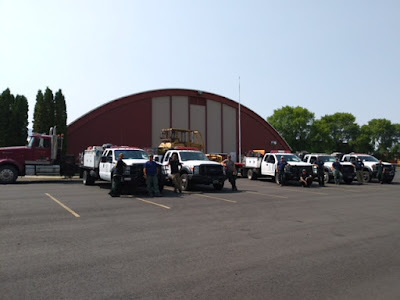 The Task Force stationed at the Grangeville High School includes five engine crews, a dozer crew, and Type 3 Incident Commander and Assistant Incident Commander. 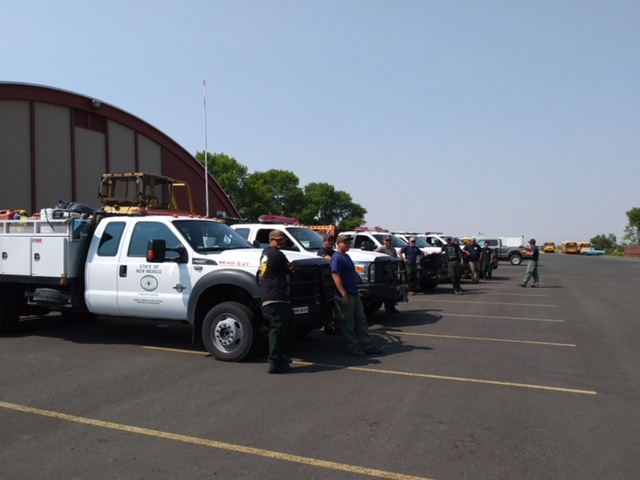 In light of the high level of fire activity across the western United States, wildfire response resources are already stretched thin. It is becoming more and more difficult for local land management agencies to quickly call in help from other areas. Even within the local area, once firefighting resources are assigned to a fire, it is time-consuming and may jeopardize progress on one fire to pull assigned resources away to a new location. The additional initial attack resources made available through the Task Force are ready to respond quickly to any new fire starts or assist current Incident Management Teams in responding to any increased activity on existing wildfires. The Task Force resulted from a Tri-Region agreement and ongoing collaboration among the major land managers in Idaho, including the Bureau of Land Management, Clearwater-Potlatch Timber Protection Association, Idaho Department of Lands, Nez Perce Tribe, Idaho Department of Fish and Game, and U.S. Forest Service. Development of Task Force teams is being adapted nationally as a tactic where high-value initial attack resources are coordinated through interagency agreements. These teams can move from incident to incident for short durations to accomplish key or critical short-term objectives. In the Grangeville protection area, fire managers have used this approach several times over the past few years and have found the Task Force highly effective and efficient in controlling a fire start that otherwise could have quickly grown into a large incident.